NEWINGTON (WTIC) -- Newington Police have released the name of a homicide victim. The individuals involved are the deceased Patricia Torbicki, 46, and her husband Michael Torbicki,45. Newington police said around 9:00 a.m., they responded to a citizen report of a woman lying inside the front door. "The citizen reported that the woman appeared to be deceased. The first officers on the scene found an adult female that had serious injuries and appeared deceased," police said. Residents in the immediate neighborhood were told to “shelter in place” as a precaution. "An adult male that had serious injuries was later discovered inside the home. The male was transported to a local hospital for treatment of his injuries. The male and female are believed to be married," police said. "The incident is being treated as a Homicide and is under investigation by the Newington Police Department’s Detective Division." A Connecticut community was urged to shelter in place Thursday after a woman’s body found outside a home. "I'm shocked, honestly. Completely unexpected," Steven Keltonic of Newington said. "I’ve been at work all day and my dad texted me saying there are a whole bunch and cruisers and whatnot down the street. Police said the male is being considered a suspect at this time. Richter said the male was a former veteran who went through a number of challenges. "Nicest guy you'd ever meet if he's on his medications," added Richter. Lieutenant Miano of Newington Police Department, said the couple had at least one child and the boy was not home during the incident. 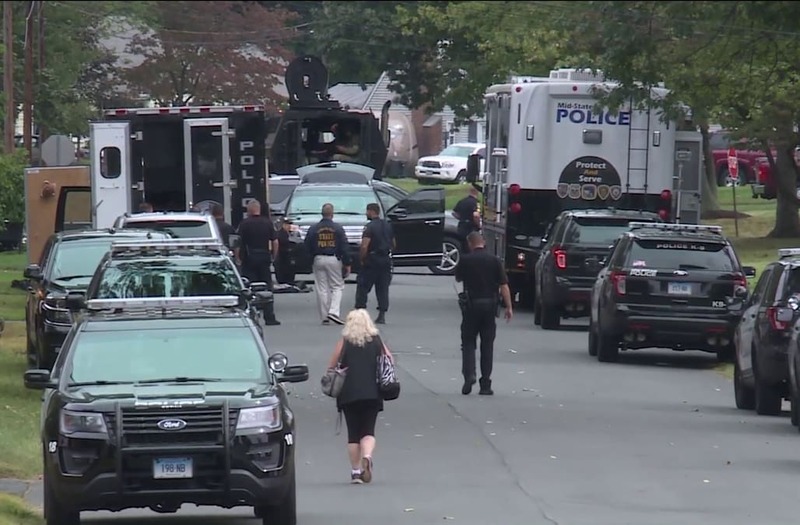 Newington Police were assisted by the New Britain, West Hartford, and Hartford Police Departments along with the Connecticut State Police Major Crime Squad and the New Britain State’s Attorney’s Office. Michael Torbicki remains hospitalized in serious condition. The Homicide remains under investigation by the Newington Police Department Detective Division. Additional updates will be released as warranted.